FREE FOR OLD: Battery World Gladstone staff member David Atkinson. The local business will be swapping old smoke alarm batteries for new ones for free. BATTERY WORLD Gladstone will be offering free smoke alarm batteries as part of a nationwide safety campaign. The new batteries will be available in exchange for old ones on March 30 and 31. 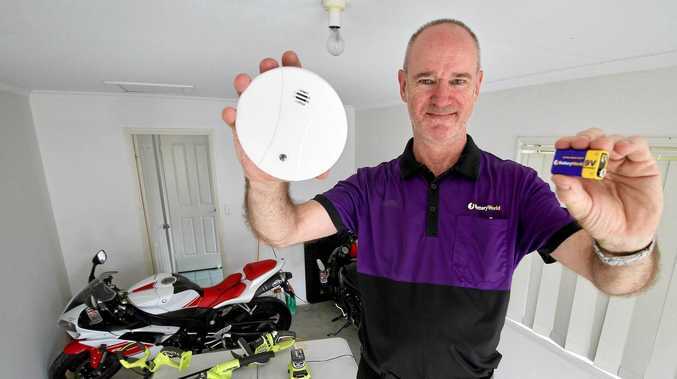 Franchisee David Thomas urged residents living in homes with a connected garage to check and install a smoke alarm in the hall outside the door to their garage. "This year there have been house fires in every state of Australia that have started in the garage,” Mr Thomas said. Mr Thomas said too many residents failed to change their smoke alarm batteries each year and smoke alarms should be replaced every ten years. He said people without a working smoke alarm were four times more likely to die in a residential fire than those with one. 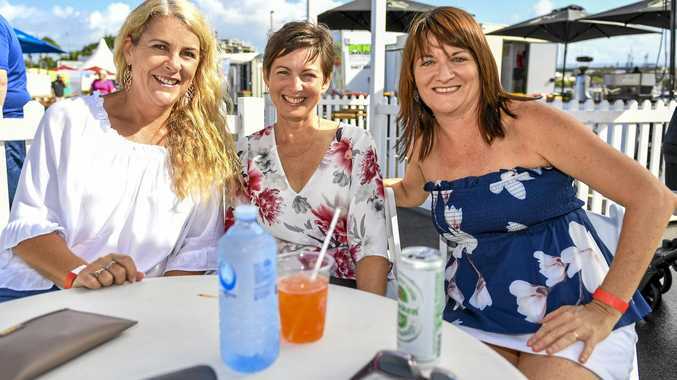 "It can take just three minutes for a fire to take hold (and) statistics from the firies show, of people who died in a house fire over the last 10 years more than half did not have a working smoke alarm,” he said. "Two-thirds were over 65 or had a disability and nearly two-thirds lived alone. Mr Thomas said devices should not be left on charge unattended and advised tenants to ask their landlords how old the smoke alarm in their property was. "You are 57 per cent more likely to suffer property damage or loss and 26 per cent more likely to suffer injury, all because the smoke alarm is not working or you do not have one,” he said. Battery World Gladstone will offer up to 20 new batteries in exchange for old ones per person to accommodate for extended families.